Eighteen major professional titles cemented Jack Nicklaus’ on-course legacy in golf history as one of the game’s greatest performers. 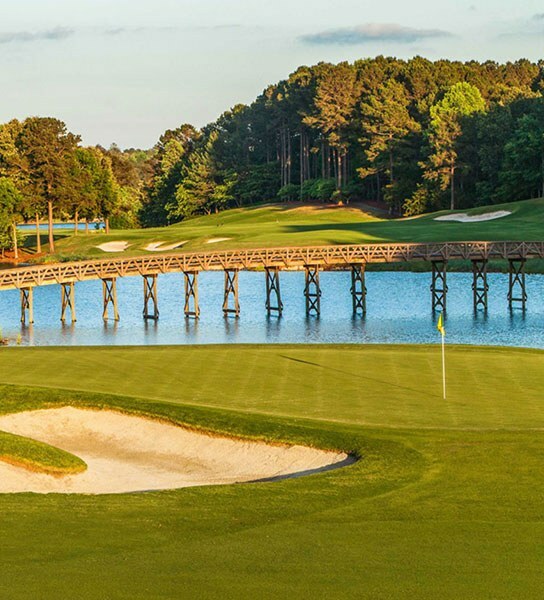 However, those who play his Great Waters course at Reynolds can attest that his architectural skills represent an entirely new kind of legacy. 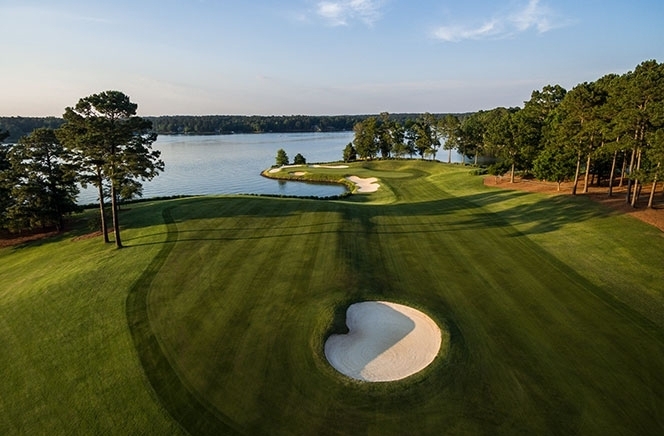 The dramatic signature layout of Great Waters, much of which winds among the tranquil coves of Lake Oconee, has provided golfers with exceptional play since its premiere in 1992 and is currently led by Head Professional Ryan MacNeill. This course is currently undergoing a full restoration, and we look forward to sharing the magnificent results with you in the new year. What's unique about Great Waters? 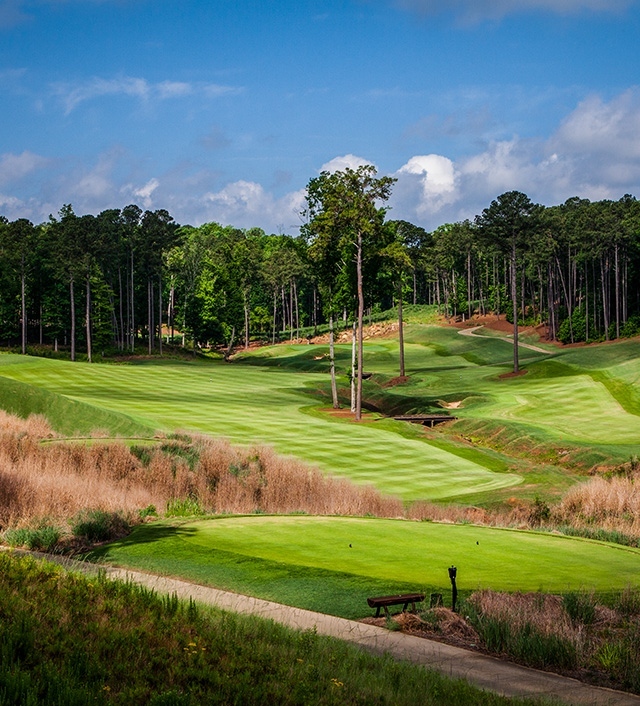 Great Waters is a highly acclaimed Jack Nicklaus Signature Course. 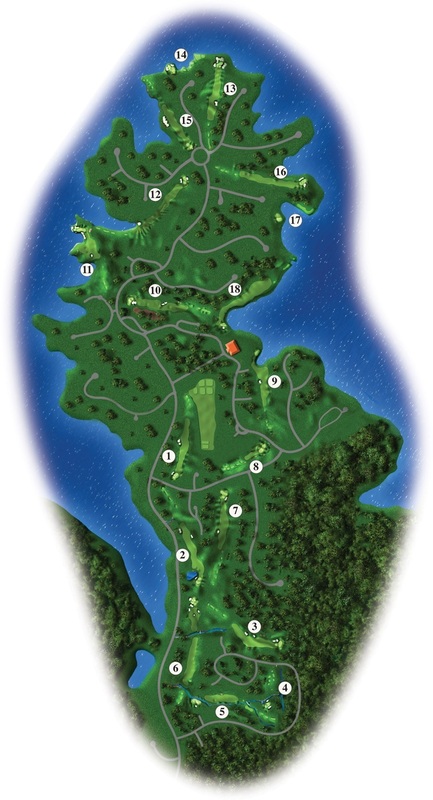 With a perfect balance of both wooded and lake holes, Great Waters winds through densely wooded evergreens and opens to picturesque lake views. 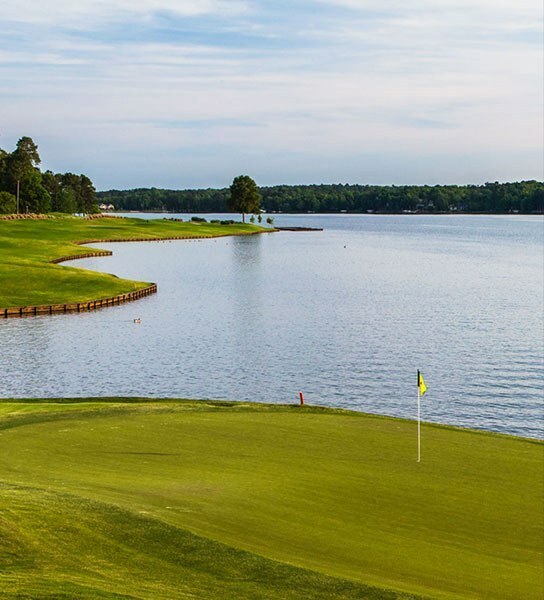 The back nine is a completely different experience, as the final eight holes are on Lake Oconee. With the exception of No. 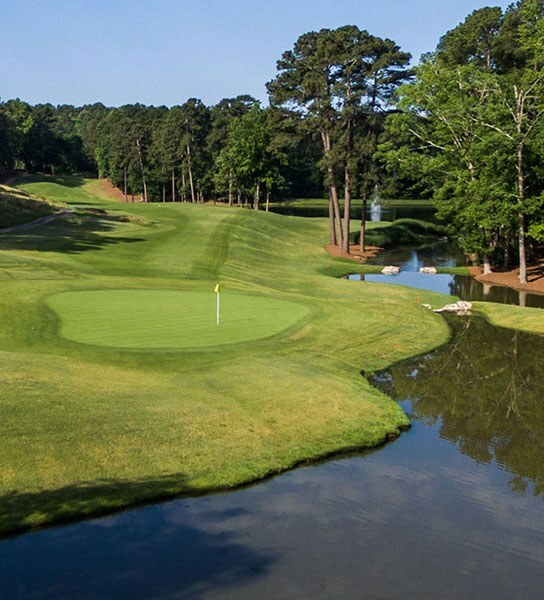 10, water is either in play or visible for every hole. 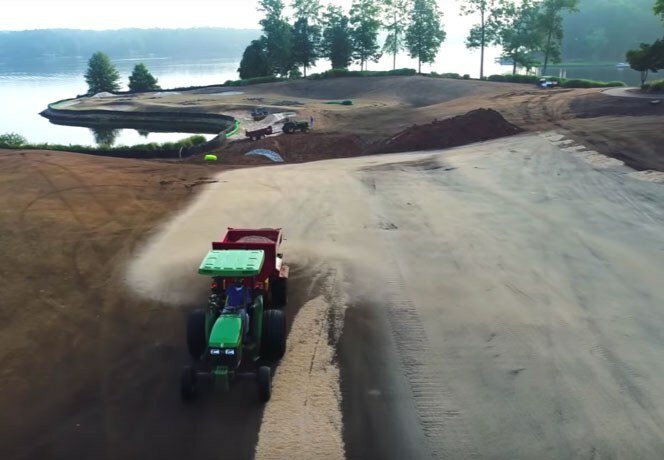 Ranking in Golf Magazine's "Top 100-You Can Play"
Perennially ranked among America’s Greatest 100 Public Courses by Golf Digest, Great Waters — which celebrates its 27th anniversary this year — will receive a total turf replacement, with new greens, bunkers, tees, water features, irrigation systems and cart paths. 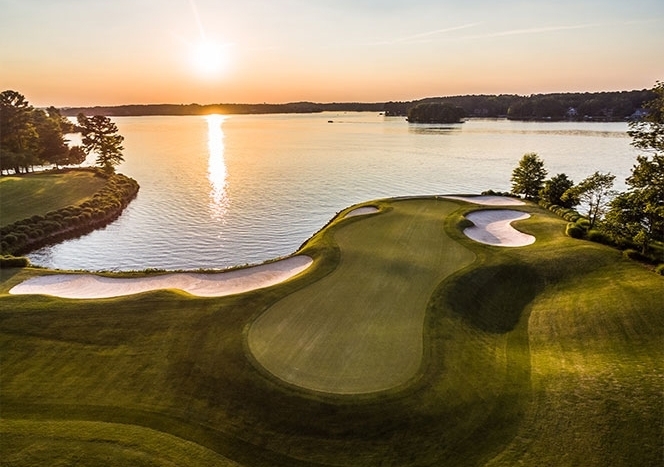 Drainage and other elements of the course’s infrastructure, plus an assessment of the trees and the practice facility, are included in this comprehensive reinvention of the community’s premier golf course. 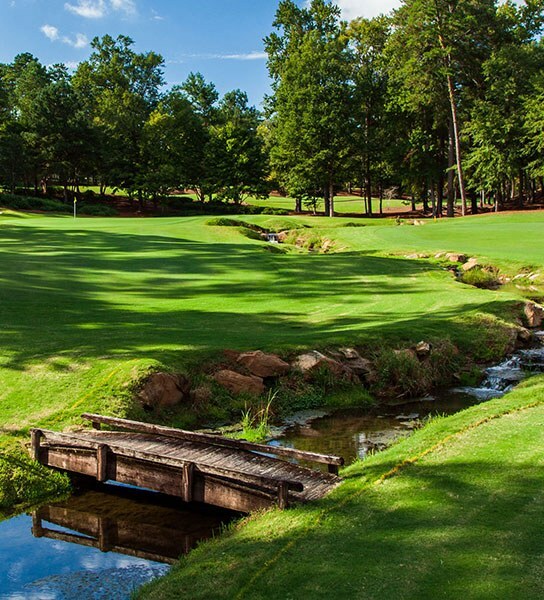 The Nicklaus layout has stood the test of time and the restoration will remain loyal to the original design.